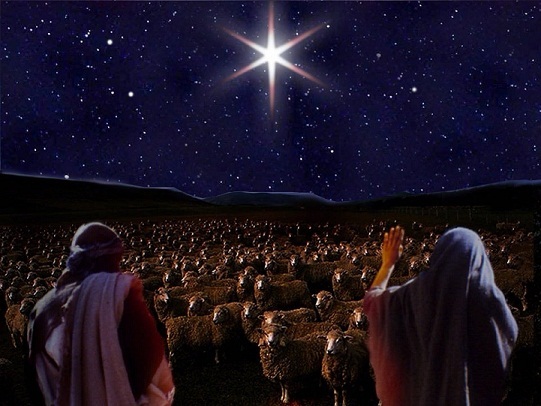 Advent is a season of double waiting—we wait in imaginative memory with the story of Israel’s waiting for the birth of their Messiah, and we wait in present anticipation of Messiah’s final return. Advent is the season that brings the story of Israel, and the story of the Church, into unique and permanent contact. Setting aside such a designated time to re-imagine Israel’s story—stepping again into Isaiah, and Ezekiel, and Moses—trains our hearts and minds for our waiting today. We wait, along with the whole company of the redeemed, anticipating justice, eager for God’s comforting presence, desperate for God’s victory to be revealed once and for all. We are eager for Christ’s advent, above all, because the world remains a place filled with darkness, echoed all the more in the winter season’s short days and long nights. So we string lights and light candles as tiny and cheerful testimonials to the power of light to conquer the darkness. And yet the darkness is no less real—not simply the extended evening darkness in the Northern Hemisphere, but the darkness of the deeds of men, of sin and evil in their rampant tyranny across the earth. We light a candle, but the flickering light seems—and is—tiny against the onslaught of news and tragedies both near and far from home. The candle and the Christmas light are symbols—signs—pointing beyond themselves to that greater light, who is Christ. And when we gaze at his light, meditate on his character, our perception changes in much the same way that our eyes adjust to light. Stare at the sun and you will go blind. Stare at Christ and you will be enabled to see. In this way we turn our gaze to Revelation 1:8, focusing our attention on this single verse as a way to enlarge our sight in this present darkness, and in its light three simple lessons illuminate our darkness. The first lesson is this: God’s victory over the darkness is certain. Why is it certain? Because he is the Almighty, the all-powerful one, Deus Omnipotens, because there is no power on earth or in heaven which can thwart Him, undo His plans, or unmake His intentions. Because He is the I AM, the being who names Himself, uncontrolled by anyone or by any destiny, the one who by His very nature creates His own destiny. The reason we have for hope in the darkness of life is because of the One in whom we hope. He is the One who, in Genesis, created the light, and it is He whose presence in Revelation 22:5 is the light. Darkness has no more power to win over God than any darkness has power to win victory over light. Put the other way, God’s victory is certain in the same way that all light is victorious over darkness. Think about it—darkness has no power to creep, darkness does not fight against light, darkness, in fact, has no substance at all. Hence, when light appears, darkness flees, evaporates, hides, and is abolished immediately. As light completely abolishes darkness so the presence of our God abolishes spiritual darkness. It is a victory that is certain and unavoidable. The second lesson is this: God is understanding, and when we look on Him we grow in understanding. The words of the Psalmist resonate here, “in your light, we see light” (Ps 36:9). In the light of God we are enabled to see—this is a process of illumination. Having the light of God within us, we are enabled to see the world differently, in much the same way that shining a UV light can reveal startling colors, hidden messages, and can change how we look at others and ourselves. “I believe in Christianity,” says C.S. Lewis, “as I believe that the sun has risen; not only because I see it but because by it I see everything else.” In the light of God we are enabled to make sense of reality. And this, furthermore, is what I believe to be the meaning of the phrase, “the Alpha and the Omega.” More than simply stating the primacy and ultimacy of Christ, to claim these letters also implies that Christ Himself is the inherent grammar of all thought. If you are going to say something then you must appeal to Christ and his logos-nature in order to say it. Therefore if anything makes sense, if we have the capacity to articulate any realization, then it is because Christ provides us with the building blocks of sense-making, the alphabet of thought. The human heart is illuminated, then, through God’s light, God’s words, and through God’s thoughts. In His light, we see light. The third, and final lesson, is this: In the meantime, during our present darkness, understanding can look like foolishness and victory can look like defeat. This is one of the central mysteries of the Christian faith, and one of the central tensions of our present waiting for Christ’s advent. When once we have aligned ourselves with the God of the universe, with Christ crucified and risen, with the true light that gives light to all men, then we no longer operate under the dictates of the former wisdom of the world. Christ hangs on the cross, and the two thieves hung beside him deride him, challenging him to let himself off the cross if he is truly someone special. They viewed Christ from the old way, and not from the new. But Christ’s light would prove his visible defeat to be the true victory. This is the message we preach, the message Paul preached to the proud Corinthians, “Christ crucified, foolishness to Greeks and a stumbling stone to Jews, but to we who are being saved the power of God and the wisdom of God.” And really, what is more foolish, what is more strange and un-victorious, than the story of a baby born in a backwater town and placed in an animal’s food trough? What is less victorious than the stench of animal dung, of filth and squalor and poverty? What is more foolish than people waiting for a mighty warrior and receiving a helpless baby of questionable parentage? The Christmas story highlights this mystery of the Christian faith—that while we wait our understanding resembles foolishness and our victories resemble defeat. So be it. In the meantime, what is asked of us while we wait in anticipation of Christ’s return is a similar commitment to foolishness—an “understanding” that accords with God’s light, and not the world’s. What will be provided for us is oftentimes victories that resemble earthly defeats—loss and failure according to the standards of the world. A commitment to holiness is an unmistakable commitment to foolishness. You will be considered a fool for sharing your faith. Similarly goodness—true goodness—is always considered the province of fools and simpletons. So be it, such will we be—fools and simpletons for Christ. To love justice will often mean choosing to side with those who lose—not because there is nobility in loss or poverty, but because when we choose God’s justice we choose against the mighty powers of the world. “Blessed are those,” Jesus says, “who hunger and thirst for righteousness.” Blessed the ones who refuse to capitulate with systems and structures that oppress, and who suffer willingly on account of it. In all this we will not look like heroes, instead we ought to look like Christ. But in the end, the true light will imminently and unmistakably reveal how God views us. And at that time, at the time of our Lord’s final Advent, we, and the world, will truly and undeniably see. Peace on earth. You’ve heard these words time and again. It is the clichéd request of beauty pageant contestants. They’ve been inscribed on Christmas cards you’ve received and projected into the ether of the stores you have visited while you did your Christmas shopping this year. We sing, and speak, and hear about peace, but the world does not seem particularly peaceful to me. When I was growing up, most stores were closed on Sundays. You couldn’t shop if you wanted to. Rest was written into the city bylaws of my hometown. But today stores are open continually—except on Christmas Day. From having one day of rest each week, now we have one day of rest each year. But what has happened is that now we’re so busy getting ready for the one day of rest that all the busyness of the rest of our time creeps into the day, and Christmas feels like more and more work each year. It is supposed to be a time of peace, but it is not very peaceful. When I speak with people I hear about their disappointments, their sadnesses, their angers. I hear about the angst of frustrated dreams. I see men and women striving to achieve more and more—slaving at work to maintain a difficult mortgage, a car payment, life in Vancouver. All that work is supposed to create happiness, but few people seem very peaceful to me. Turn on the news and the horror stories stream continually into our minds. War. Invasion. Plague. ISIS. Near weekly school shootings. Abuse. Tragedy. The narrative of our newscasts is one of perpetual misery, and here there is little hope of peace, either. There is un-peace within each of our hearts, too. We each have regrets, fears, and mistakes. We’ve had fights with our children, with our spouses, with our parents and friends. We’ve not killed, but we’ve been at war within ourselves and against our peers and families. We desire peace, but few of us truly know it. 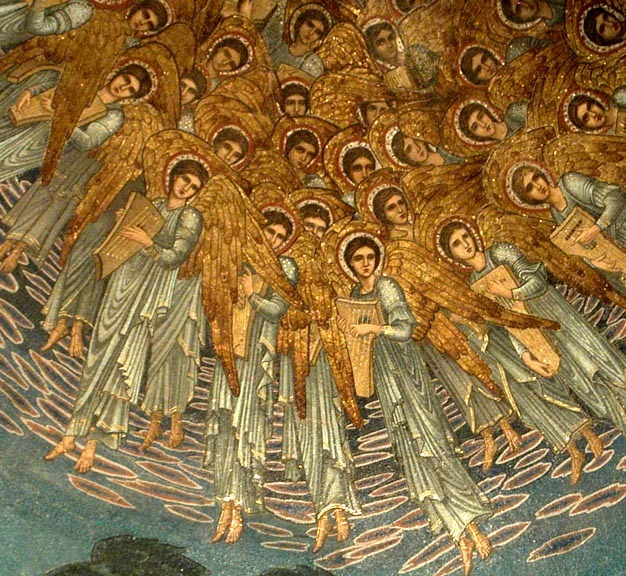 To such a people—a people just like us—the angels announced their message of peace all those years ago. 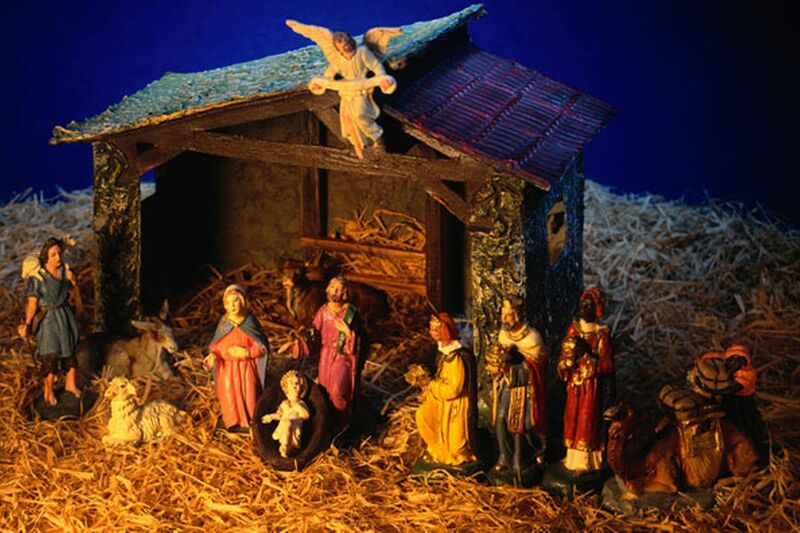 To such a people—shepherds who also longed for rest from their labor, for resolution to their disappointments, for peace from their conflicts, and for peace within themselves—the angels pronounced the birth of the King of Peace, Jesus. The peace he offers, if it is true, is really good news. And the even better news is that the open hand of peace is offered to all men and women who will take it. This child-king, Christ Jesus, born in a stable in Bethlehem during the time of the Roman Empire, offers you a nail-pierced hand and says, “Come and see.” He came to bring peace, and to place His peace inside each of us—peace from our labors, peace from our anxieties, peace from our conflicts, and peace within ourselves. And yet there is something strange about the Peace offered by King Jesus. It does not take us out of our circumstances. There are still bills to pay, work to complete, wars and conflicts in the world, mistakes and regrets. Christ does not take us out of the world—he gives us a peace at the very epicenter of our lives that transforms us within the world. Our circumstances may or may not change, but we are certainly changed within our circumstances. Sometimes we call this change “New Birth,” because it is such a radical change in the heart of the individual. In Christ, your whole outlook on life changes. This New Birth happens when an individual chooses to become a follower of Jesus, a citizen of his Kingdom of Peace, and we do this by allowing the personality of the King to enter into your life and change you from the inside out. It’s a very simple process, really, involving talking to the King—and that’s part of the story, too, because the King born all those many years ago is still alive and reigning today. You see, he died on a Roman cross—died as punishment for sins he didn’t commit, our sins—but then came back to life. In his new life he offers to share that life, and his eternal peace, with us. His hand is open—will you reach out and accept it? King Jesus, I want the peace you offer. You have extended your hand to me, and I’d like to take it. I admit that I cannot do this on my own, but I need your help. I want your death for my sins to apply to me, and your eternal life to be planted in me. King Jesus, King of Peace, cause your peace to live in me and my life, and transform me from the inside out. In the name of Jesus we pray, Amen.